Ashley Berges has been on a microphone, stage and radio for the majority of her life. Currently working on TV and on-air projects while she speaks to audiences about taking their life to the next level. Often the extra oomph that’s needed comes from a reliable outside source. Ashley’s motivational speech can be exactly what is needed to provide cohesion, understanding, and power within any organization. Groups, businesses, and corporations choose a workshop concept either half day, full day, two day, or weekend. Ashley will work directly with your company or group managers to understand exactly what is needed. With that knowledge, Ashley will meet with her team and create the exact workshop that will inspire, relate, and facilitate the needs and desires of the organization, business, or corporation. By the end of the workshop, prior to the lasting motivational speech, your group/employees will be ready and willing to positively co-create and lead with success. Book Ashley to be your next keynote speaker to motivate your organization to see recognize the greatness of the organization and the greatness within themselves. A corporation or organization thrives when all parts are working in corporation towards a goal that may be challenging, however the individuals that make up the corporation believes in the process and believes in the cause. Ashley’s motivation speeches, keynotes, and workshops leave audiences inspired, feeling connected, energetic, and refreshed. It’s like a pep talk and a day at the spa, this gives everyone the drive they need and the renew that organizes groups to achieving what they thought was out of reach. Syndicated talk show host of Live Your True Life Perspectives, CEO perspectives coach, professional therapist, creator and host of The Celebrity Perspective, keynote speaker, contemporary philosopher, writer of truth, and the creator of the Live Your True Life workshop and book series. Ashley’s latest book, “The 10 Day Challenge to Live Your True Life” is the guidebook for busy people who want to make valuable changes to their life. Appearing on NBC, ABC, CBS, WFAA, and CW33, Ashley discusses and exposes how to live authentically, tips for handling depression, equality in the workplace, leadership skills, overcoming addiction, bettering the family dynamic, and more. Live Your True Life Perspectives airs nationally and internationally six days a week. The Celebrity Perspective airs every Thursday. Live Your True Life Perspectives airs locally in Dallas, Texas on Sundays at 8pm on 570AM KLIF. Ashley had dedicated her life to helping others understand their lives and offer them the necessary tools to create an honest authentic fabulous life. 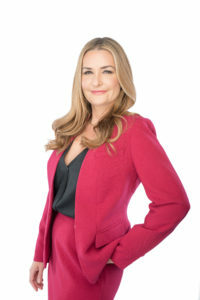 Ashley Berges is available to speak to your group, business, and or corporation offering an entertaining and inspirational presentation tailored to each specific audience. Whether you are looking for a hands-on office workshop, or more of a motivating message for your organization and event attendees, Ashley’s presentation will leave your group motivated, empowered, and ready to take on any challenge. Her speech was insightful, motivating, and the perfect incentive for our company’s employees, we will definitely have Ashley back!